I thought that before I go any further, I should probably introduce myself and let you know where I want to go with this blog. 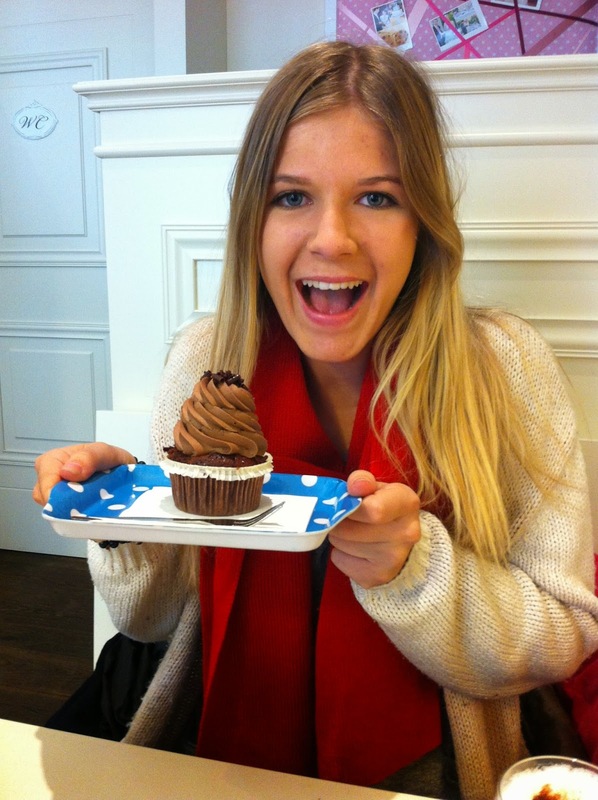 Me and one of my favourite foods in the world - CUPCAKES. So here I am, hello! My name is Ellora and I am originally from the beautiful land of the long white cloud - New Zealand. I am 18 years old and just finished high school at the end of 2013. I am now taking my "gap year" (which is inevitably increasing to gap years, oops) in Granada, Spain. My dad is a New Zealander but my mum is from Austria, meaning I have two passports. This is pretty much the best thing EVER (and I'm so, so grateful - thanks Mum and Dad! ), because it means that I can live and work anywhere in the European Union without having to worry about visas and all of that stressful stuff. Sometimes life deals you a good hand of cards. I have one older sister who is currently living in Vienna, Austria, studying Psychology. She's pretty much the bomb-diggity and I wouldn't change our close relationship for the world. Katarina and I on the Boulder Bank in Nelson, New Zealand. As a child, I probably travelled more than most other people my age which really started off my wanderlust. We took family trips to America, England, Austria, Germany, Italy, Samoa, Australia and, most recently, Rarotonga. This meant that I experienced the world at a young age and that lead to me being really fascinated about different countries and cultures. I literally can't get enough of travelling and I hope to spend a lot of my life doing exactly that. The girls and I on our last day of high school. I also have the most fantastic group of friends back in little old New Zealand. In saying that, we're all sort of spread out around the world now! I am a very friend and family orientated person so these guys and girls mean the world to me (n'awww warm fuzzies). So I had the idea of starting a blog quite a while ago, but something has always been holding me back.. Until now. Honestly I couldn't be more excited! In saying that, I'm still sort of uncertain of exactly which direction I want it to go, I have too many ideas. I guess that's better than not enough though. Basically, one of the main topics I want to write about is being an au pair and giving a bit of advice to those who are interested as I often have people asking me more about it. I also want to write about general travel and living overseas experiences, as well as other fun stuff like food, fashion and life. Thanks again for reading, until next time!